Mitchell is one of the first friends I made during the program. You might recognize him from the vlogger party in Magic Kingdom video that I posted earlier during my program. 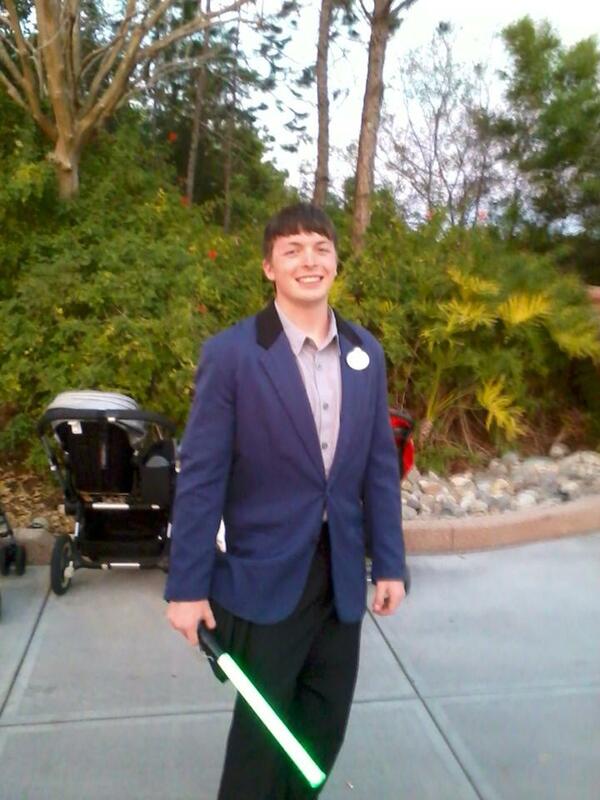 He has an interesting story, starting out working at Fantasmic! and Beauty and the Beast, but then was able to cross train and transfer to Rockin' Roller Coaster (which is extremely rare for a CP). I'm personally a little jealous, because working at Coaster looks like so much fun! I'm attractions at Disney's Hollywood Studios within Sunset Attractions. I started off at Fantasmic, and from there I was trained at Beauty and the Beast and Rock 'N' Roller Coaster where I currently work the most. Well while working Fantasmic, I typically did crowd control, loading and unloading guest into a huge amphitheater while also taking care of any guest situations that they had. Now at Rock 'N' Roller Coaster I do any kind of operations from loading to unloading, greeting, and much more. It is exactly what I wanted, I couldn't of got a better role or place to be put in. My favorite parts about my job is for one, guest interaction. Being able to talk to guest and help them out to enjoy their vacation is something I love. 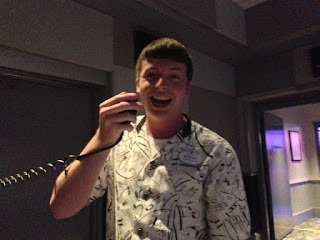 I also like to play a character, and I do so at Rock 'N' Roller Coaster by playing a tour guide and a parking attendant. I also love loading the vehicles fast, that way I'm being super efficient and guest get the best of their experience. I honestly couldn't say that I have a least favorite part about my job. Everything I do is fun and it's always something new. I think the one moment that will stick with me forever and it's not really a magical moment, but I was at kids spot, which is where we give out stickers for kids to decorate a record with. One little girl was making one and as her parents told her she had to go she handed me her record, I told her that she gets to keep it and take it home and this is what she said to me " I'm not taking this one home, you wanna know why? I replied yes. She said because I made this one for you". I honestly melted after that and I have it hanging up in my room. I have always wanted to do the Disney College Program since I was in 7th grade, which is when I first heard about it. Even besides that Disney has always been a part of my life, it is my second home. 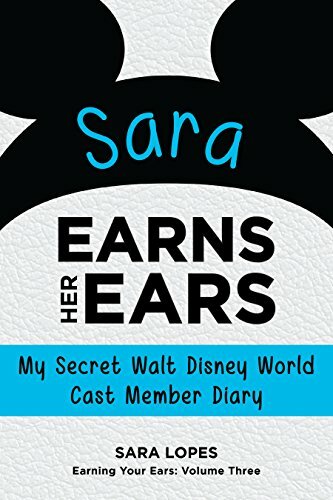 I just wanted to do something bigger than myself and give guests a great Cast Member experience that I received when I was growing up and visited the parks. I want to be with this company long term, and what better way than to start here. There isn't something I wish I would have known, just because I searched up all the information I could. Maybe though I wish I knew that it was going to be hard to leave close friends that I've made. Focus, safety is main part of our role, and part of the whole company. Do your job right and don't slack or be lazy. Make the guest feel like they are really there. Do it, that's all, just do it. It's great on your resume and it's an exceptional program to build experience and maturity, along with professionalism. It will help you with speaking better to people and also will help with people skills. Honestly it's one of the best programs anyone could ever do. I'm glad I have been able to experience it and so will you. I recently was able to find a video of Rock N Roller Coaster with Mitchell as the tour guide in Studio C! Take a look, and pay attention at the :40 mark, that's when Mitchell starts giving his tour! He's taken a hiatus because he's busy working and still doing the program, but he has videos already planned and recorded. He just hasn't had the time to edit them (it takes a long time). so was he spring advantage?